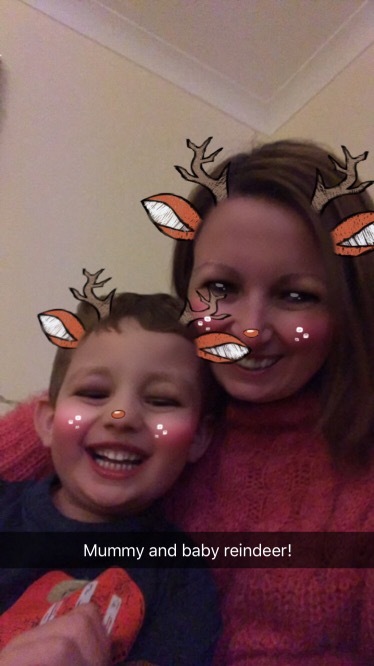 mummyandjack | Just the two of us. And how we cope with loss, grief, heartache and life. Just the two of us. And how we cope with loss, grief, heartache and life. “Yes, Jack does indeed have an autism spectrum disorder” – Those were the words last Monday that both confirmed a long believed theory of mine (and Ronnie’s) and also changed the way that I look on life for Jack in an instant. When I say changed the way that I look on his life I am by no means suggesting that he cannot fulfil the same future that he could without the diagnosis. Far from it! In fact I am going to make it my main purpose to ensure that he flourishes in every way possible. He is just different, not less. What I do mean is that I will no longer make any presumptions with regards to his understanding, comfort, development. Everything has to be 100% the best that is available for him. There will be no chances and no “oh I’m sure he’ll be ok”. I will not put him in any situations that he could find overwhelming. His happiness and freedom from anxiety is key to any decisions. But as far as everyday life does an autism diagnosis really change much? Well no it doesn’t. He’s still my Jack. My funny, inquisitive, cheeky, resilient boy who has already proved at such a young age that he can cope with the worst that life can throw at him in losing his daddy. The Jack before Monday and the Jack after Monday are exactly the same. What does change now is my mindset. That it is me that has to change. I have to learn to stay calmer with him when he’s overstimulated. Learn not to be frustrated when he’s being repetitive. Learn to read him a bit more to try and pre-empt any meltdowns. All I can do is my best and I hope that is enough for him. So I haven’t written anything since the New Year. Mainly that was a deliberate action as written things down was my cathartic release of thoughts during the first year. I’d survived year one of widowhood and found a way of getting things out so I didn’t bottle them up and they’d possibly eat me up inside. So when Year Two began I took a conscious decision to step away from the blog. Felt like it had done its job. I had a new proper job, just the weekends with jack and we had our dream holiday to Florida to look forward to. Yes it was tiring. But really what parent with a full time job isn’t exhausted all the time?? That took us up to the 18month mark. And that meant the holiday to Florida. The happiest place on earth (really it is, I’d live there if I could!). And an amazing two weeks we had. But since then it’s been back to reality with a bang. The reality that I have no life outwith my job and being a mummy. And that’s hard to accept. It’s so difficult going from being a family unit to just being the one who is responsible for everything. There is absolutely no down time. No longer is there someone to take some of the load off. So I have reached a point where I am completely and utterly exhausted, mentally and physically, all the time. So as of this week I am reducing my work days to 4 days. Yet jack will be staying in nursery. 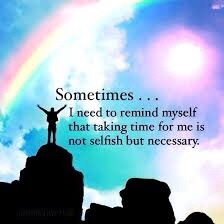 That may sound selfish but I need some time to be me. To just do things to look after me. Or we’ll both suffer. I need to be a person again. And not just a widowed mummy. 2016 was undoubtedly the worst year of my life. It’s a cliche and sometimes people are so blasé in saying it. But when a year begins with experiencing one of the worst things ever you do measure the rest of the year by that yardstick. So yes I was glad to see the back of 2016. A new year is always a clean slate and an opportunity to look forward to new possibilities and beginnings and that is exactly what I plan to do. After finding some inner peace on what would have been our wedding anniversary in May I certainly approached the second half of 2016 in a more positive manner and can absolutely say that Jack and I are happy. Yet when looking at the year as a whole it is still difficult to not let the circumstances of how it began cloud my whole 2016 sunmary. So how did I celebrate the end of this horrible year? By myself and in bed well before the bells as I’m loaded with a cold. For a few mad moments I concerned keeping Jack up later than his 7 o’clock bedtime but considering he becomes a cross between the Hulk and Tasmanian Devil when he’s overtired I decided it wasn’t worth the extra effort just for some company. But just knowing that someone, just one, had the foresight to ask if i wanted some company would have been appreciated. Especially knowing that without Ronnie I’d be alone once Jack was in bed. Yes I have Jack and so am limited in what I can do but it would have been lovely if some of the “we’ll always be there for you” or “thinking of you” had actually materialised. Now I think of them as empty promises/thoughts and something that people just say for the sake of something to say. Spending a night renowned for celebrating with loved ones is incredibly lovely. I’ve not gone out on Hogmanay for a number of years and have been happy spending it at home. But spending it at home with someone is completely different than spending it alone. Just because I’ve said that I’m happy and moving on with life doesn’t mean that I wouldn’t appreciate the offers of company at times like this. It’s incredibly difficult to admit that you may actually want the help and company that had previously been offered. So my 2016 ended exactly as it began. With tears and heartache. But with a renewed determination to build an amazing life for me and Jack and to do whatever I need to ensure we are happy. 2017 will begin, continue to be throughout and end happily. Earlier this year i wrote a blog about being completely unaffected by celebrity deaths since Ronnie died and that i found the whole outpouring of grief when a celebrity dies rather fake. Today I was in tears on waking up and finding out that one of my favourites George Michael had died. And with Ronnie being a big fan of 80’s music I knew that he would have been devastated as well. In fact, the news affected me so much that I did one thing that I never do. I felt that I had to contact his partner Fadi. Especially when I read that it was Fadi that found him dead in his bed. Exactly how I found Ronnie. There is a stabbing pain that goes through you and stays with you for a while when you realise that the person you love and are trying to wake is never going to wake up. That they are not just sleeping peacefully but sleeping forever. That the last time you spoke to them before they went to sleep was the last time. Yet you never had any inclining that it would be the last words you will ever say to each other. I know that Fadi will never see my message. Yet I felt like I had to let him know that he is not alone. That he needs to focus on the memories and the happy times. That even though he may at this moment in time feel like he is all alone that he is not and that there are others who know the pain that he feels just now. As Ronnie died in January this is the first Christmas without him. So inevitably I’ve had the “I know Christmas will be tough” and “I hope you manage to have an ok Christmas”. But you know what? This Christmas is exactly the same as others. Just with one less person here. I love Christmas. It’s my favourite time of the year. And especially so this year as it is the first Christmas that jack has really started to get into the magic of it. Does that mean I don’t wish he was here? Of course not. But I refuse to be drawn into the realms of “what’s ifs” and “what could have beens”. Things are as they are and a can’t change that. Thinking otherwise is far too dark a place for my liking. So instead I approach Christmas with the same positivity that I hope I have done every other day of this year. And that is to live it as fully as possible. To ensure that Jack has an amazing day because if he does then so will I. So don’t feel like you can’t wish us a merry or happy Christmas. Because you can. As that is exactly what we are going to have. I saw this shared on a support group i’m on and it really struck a chord with me. I’m not going to say that it all applies to me, or will i even say which parts of it still do, but at various times throughout the past year i have felt or experienced every single part of it. And some of it i still am. about him, and I need to do it over and over. when my tears may flow. Just sit with me in silence and hold my hand. feel only if you really have time to find out. that you don’t see me. with him, the life that we shared, the plans we had, the places we will never get to go together, and the hopes and dreams that will never come true. My whole world has crumbled and I will never be the same. and sometimes I will remember him with joy and other times with a tear. make it worse by telling me I’m not doing this right. after will always be someone different. and there will always be times that I cry. my own way, and in my own time. (a) Bring food or a movie over to watch together. out on this difficult day. 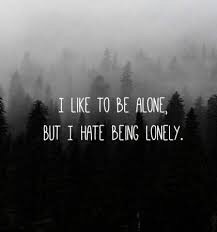 then I really will be alone. where I used to feel so comfortable. Please don’t judge me now – or think that I’m behaving strangely. be imagined by anyone who has not walked in my shoes. life. What I need now is time to grieve. Most of all thank you for being my friend. Thank you for your patience. you for praying for me. The death of Gene Wilder has provoked a social media mass grief. But why? None of you knew him. He wasn’t part of your family. Or a friend. Or even an acquaintance. He was merely a stranger that happened to be in some films you may have seen. And he was 83 so not exactly a young man. He’d had a long life and a successful career. He wasn’t 41 with a young child who now has to grow up without a daddy. In no way am i saying that its not sad because he happened to be old. Of course it is sad. It’s a sad time when anyone dies. Really??? The death of someone you don’t know is having that much of an effect on your life. I seriously doubt it. Yes by all means share the news of celebrity deaths. But stick to it being a sharing of news post. There is no need for the fake sentimentality. All that does is insult the people in your life who have actually suffered a traumatic loss and actually are having the worst year ever. The people that you are supposed to care about but haven’t shown half the amount of compassion to as you have to someone who you only know about because they happened to be famous.